It's the highest-rated show in key demographics on Disney XD, and Disney has longterm plans for the franchise, so it's probably not much of a surprise, but Monday they announced that Star Wars Rebels has officially been renewed for a third season. The third season is "currently in production" says the press release, and will premiere in 2016. "We're very proud of our incredibly creative Rebels team," Lucasfilm SVP of Development and head of the Star Wars Story Group Kiri Hart said in the release. "The show continues to tell fun, heartfelt, exciting new Star Wars stories week after week, and it’s beloved by fans of all ages. 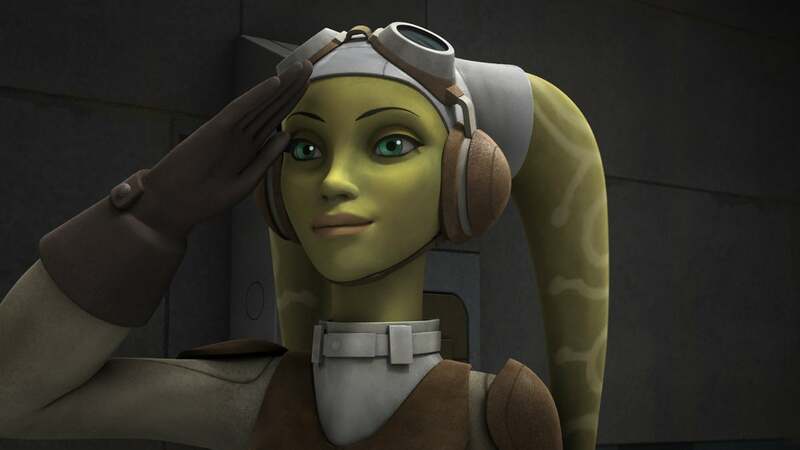 Season Three will see our rebel heroes face new obstacles and find new allies in their fight against the Empire." Dave Filoni and Simon Kinberg will continue as executive producers on the show for the third season. The only story tease of the show is that, "Following a series of critical events, the lives of our heroes will be changed forever as season three begins." The third season gets the series closer than ever in the timeline to the original Star Wars, now known as Episode IV: A New Hope. Even closer is Rogue One: A Star Wars Story, which takes place in-between Rebels and A New Hope on the timeline, and hits theaters December 2016.